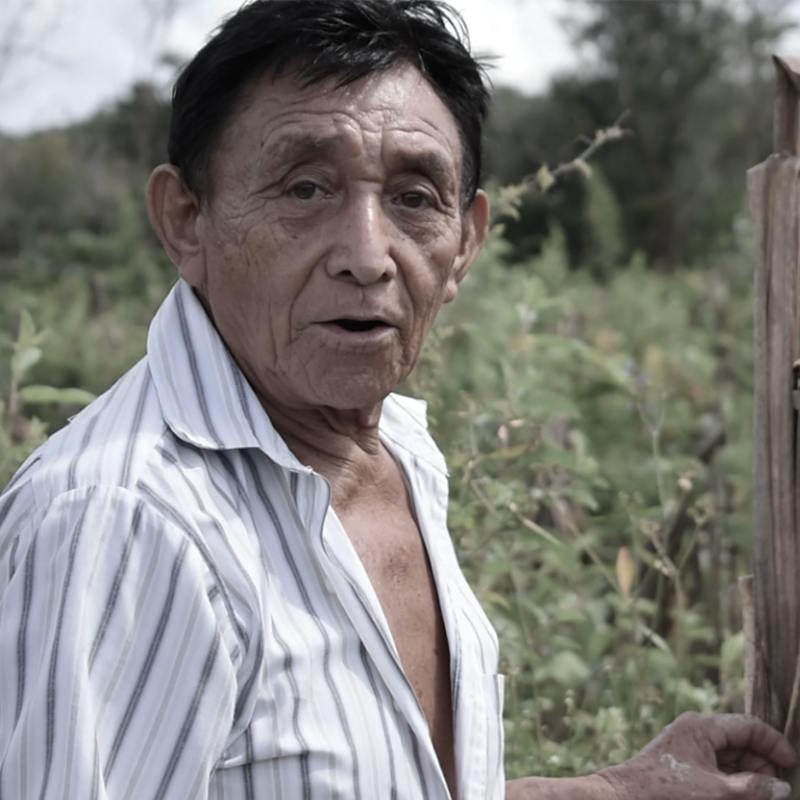 An 81-year-old Maya grandfather, declared Living Human Treasure of the State of Yucatan, has preserved the traditional ceremonies of the Mayan people, fostering the spiritual and cultural development of his community Xocen, Valladolid, that is popularly called "the center of the Mayan world". He will present Mayan ritual facilities of a real nature, to demonstrate how to make offerings to some beings of nature and also to some Mayan gods of vital importance. We all know her as Maruch, she has profound roots that had been nourished by wisdom and ancestral knowledge linked to healing. In her community they call her "j'ilol" healer and religious authority, she has learned traditional tzotzil activities through the word of old generations. She is a woman with no fear of expressing her imagination on different platforms, by using natural elements as well as audiovisual media and performance. Magic beings in sacred spaces, her art shows the colors of the earth and the creative process of a woman, who rescues the oral tradition and knowledge of her people through myths, legends, and customs that are the inheritance of her grandparents as well as the grandparents of the Kantiyan, in Veracruz, turning the stories into images that return us to this universe where everything is possible. Between the imaginary and the real, a game of words that make us dialogue and decolonize our minds. Among the Mesoamerican people we see the presence of the mythical beings who are the protectors of nature, the protective beings of life, who, in contrast to scientific knowledge, are classified as nonexistent beings or simply beings of the imagination, but for us the imaginary represents the metaphorical connection between human life and nature. Of tzotzil Maya origin, he has specialized in the exact sciences, but he also has knowledge in architecture and masonry. This has given him a need to express his feeling about the universe that composes his reality, where through sculpture he has found his own discourse, being light the main element in his art, which vitalizes the experience of inhabiting for a moment the universe contained in small spaces. He was born in Uayma, Yucatan. He descends from a mayan potters family, that has been using ancestral techniques for generations, as well as experimental techniques by integrating different kinds of muds and diverse mineral substances from the region on his art. He therefore has obtained an extraordinary outcome on his smells and textures that reminds us our natural bond with Mother Earth. She is one of the very few women who rescues an ancient technique of Native Maya Cotton Yarn called "Pechech" in the Yucatan Peninsula; it seeks to promote the revaluation of native cotton yarn among women and girls in the Mayan Zone, to avoid the loss of this traditional knowledge. This artisan activity is a spell of the original embroidery of existence. His work is based on an exploration of the contrast of human and nature. Making a synthesis of his experiences, he rescue the things that most appeal to him in landscape and try to generate a pictorical language where the viewer can see the same thing that he saw or something similar. He invites us to connect with mother earth through paintings full of color. Her work is based on the contemplation and exploration of different channels that landscapes offer to connect with universe and our inner selves. Her painting, be they natural, architectural or abstract themes, come from experiences and visions, both physical and spiritual journeys. These have allowed her to create a new way of perceiving reality, to see a body of work based on the understanding of the symbolic charge of color as a tool that has allowed human being throughout history to explain the dualities between the earthly and the divine. Painter, draft man, illustrator, muralist and goldsmith. She was a student of the Chilean National Art Prize Eugenio Dittborn. Her work seeks the union of the world in which we inhabit with the intangible and surreal through characters, animals and universes full of color. Jacinta has participated in numerous collective and individual exhibitions in Chile and Mexico. 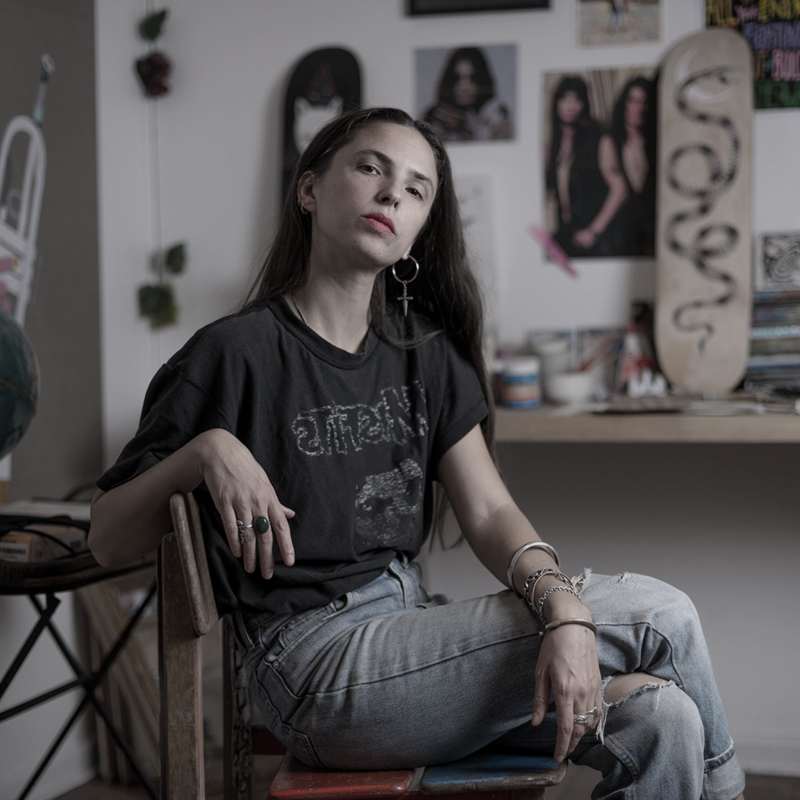 She has made many illustrations for musicians and have her own jewelry brand. His work is related to nature, especially landscape. Through painting, he is interested in addressing indefinite, imprecise natural spaces, impossible to locate on the map. Generally, these spaces are framed within a particular time: night. From the mysterious nature of the night, associated since ancient times with the contemplation of the universe and its unknown energies, he use some of its associated concepts and elements, such as mysticism, rituals and paranormal encounters to build his work. 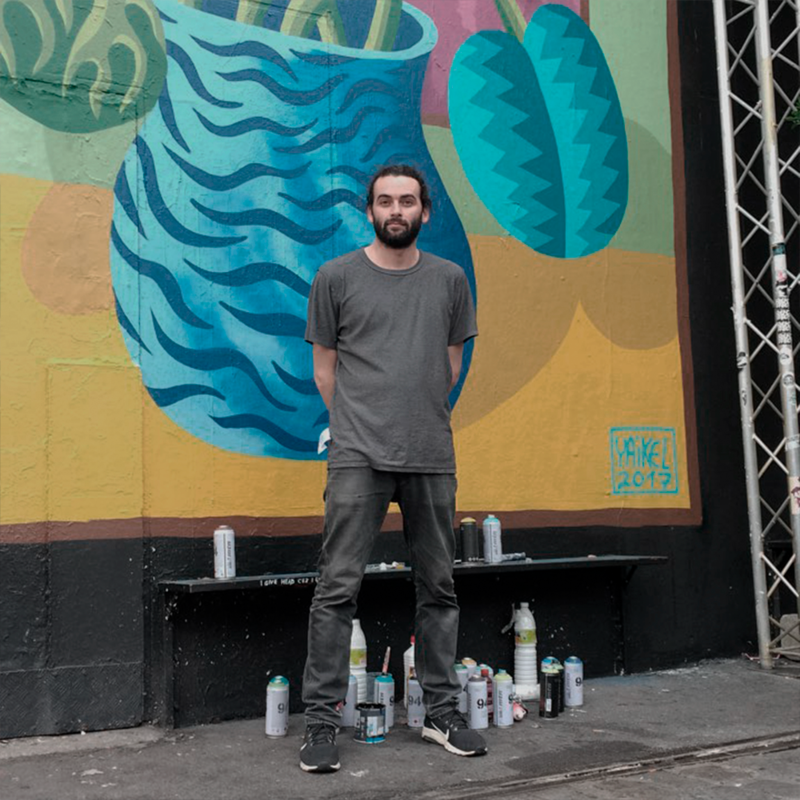 Matias has participated in numerous exhibitions in galleries, museums, biennials in Chile, USA and Germany.